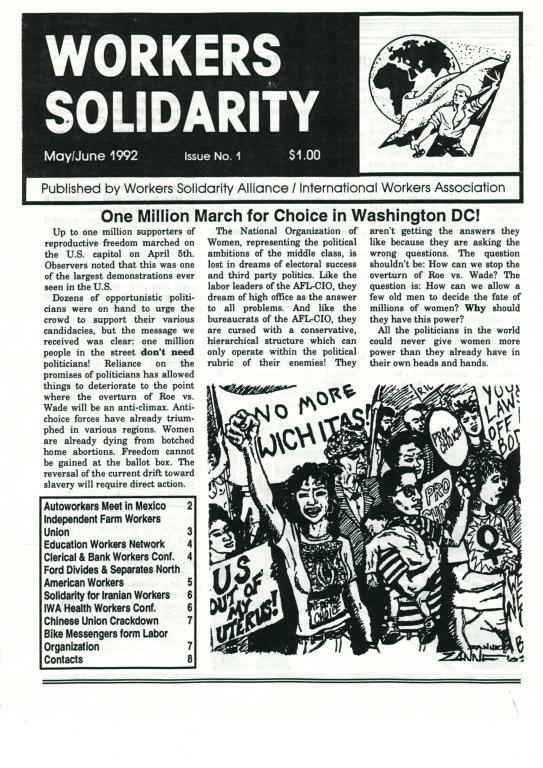 1990s bi-monthly national publication of the Workers Solidarity Alliance (WSA). The WSA was affiliated with the International Workers Association (IWA) at the time when this was published. - One Million March for Choice in Washington DC!